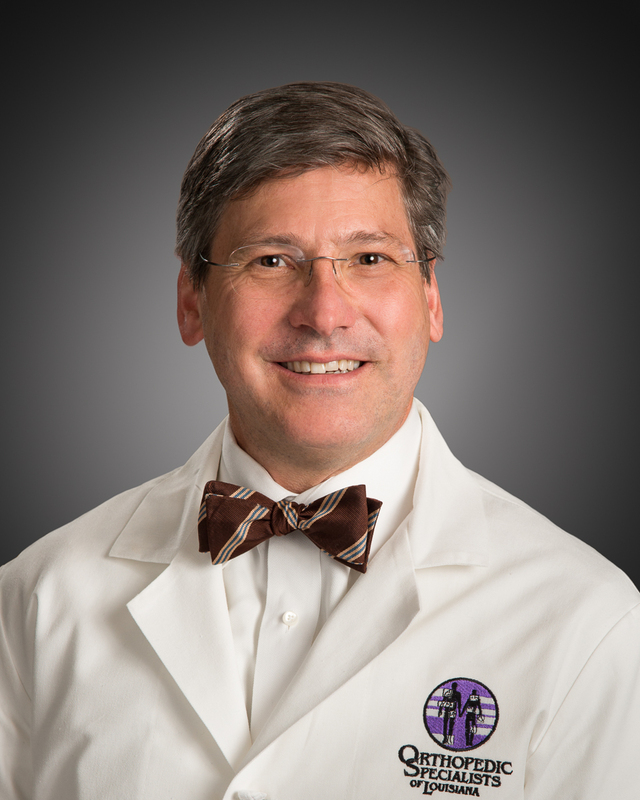 Recognized as highly skilled, and known throughout the region as an innovator in orthopedics, Dr. Michael Acurio has been instrumental to the esteemed reputation of Orthopedic Specialists of Louisiana since 1996. An expert in thrombosis management, Dr. Acurio is groundbreaking in his use of cell implantation to replace damaged articular cartilage in injured knees. Board Certified by the American Board of Orthopaedic Surgeons and a Fellow with the American Academy of Orthopedic Surgeons, Dr. Acurio has built one of the area’s most successful orthopedic practices. He is the proud father of 5 children and active in his community and actively supports the arts and area athletics. Dr. Acurio sees patients at Orthopedic Specialists of Louisiana- Bossier City and performs surgeries at Specialists Hospital Shreveport.